Hostel Penitentes is a place where you will be able to enjoy a fun stay, in a warm environment. 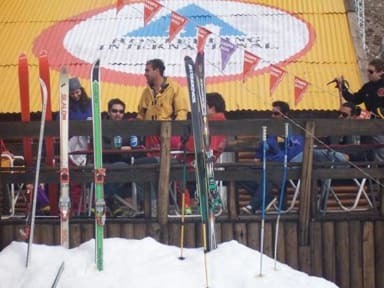 It is a mountaneering Refugio located opposit the ski slopes of Penitentes ski centre. We are very close to Puente del Inca and the Cristo Redentor de los Andes and are located at the foot of the highest and most beautiful mountains of the Mendocinean chain. We are also ideally located beside the ski tracks of one of the most important ski resorts in Mendoza. This is all provided at an accessible price for you as our guest. In the hostel you will meet and share travel experiences with other young people. 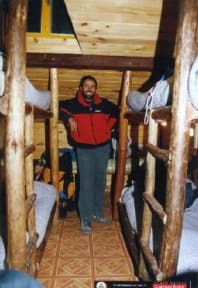 Many are from Argentina but many more are from all over the world and have come here with the desire to go mountain trekking, visit the thermal waters of Puente del Inca, go trekking in the surroundings of the highest mountain in South America; the 'ACONCAGUA'. And in winter time you can ski and enjoy the best views of the high mountain and everything else that you want to do on your vacation. Therefore, we are the ideal place to stay when you want to come to the Mendocinean mountains. Enjoy it by doing adventure tourism, skiing or just enjoy the view of the majestic peaks and of the snow. At our hostel you will be able to stick to your budget and at the same time, you will get to know many compatible people with the same ideals. WHO CAN STAY IN HOSTEL PENITENTES? Every one,; boys, girls, families, couples, everyone is a part of the hostel family.